We were researching loungewear and came across these in Dunnes Stores - and they really are the best pyjamas in the world. For those days over Christmas when you're so over socialising, you'll need some loungewear. The snugglier the better. We've been talking about all the parties and events we'll be going to non-stop over the past few weeks. But, you just know there'll be days you'll skip the socialising to snuggle up in your jammies. Pyjamas, though, are a bit too nighttime for me. When I'm hanging around the house all day and I know I won't leave, I need something that's semi-respectable. Something that won't embarrass me if guests decide to pop in. There's nothing wrong with living in loungewear, as long as it's not stinky, or stained or that it looks like you haven't changed your clothes in days. Penneys, predictably, has a massive selection of jammies and jammy-esque clothes to live our most comfortable lives this Christmas. They're snuggly, warm and - the best thing because we've totally overspent already - cheap. Penneys is the obvious place to grab your snuggly clothes but it's not the only place. We've spent a pleasant time searching for the clothes we wish you were wearing right now in a load of high street stores and we came across these pyjamas in Dunnes Stores. Now, they're not pyjama pyjamas, even though the tops and bottoms match. We would, in fact, wear the tops outside. AND, they only cost €20 each! I love these so much I'm buying them for myself in each print. 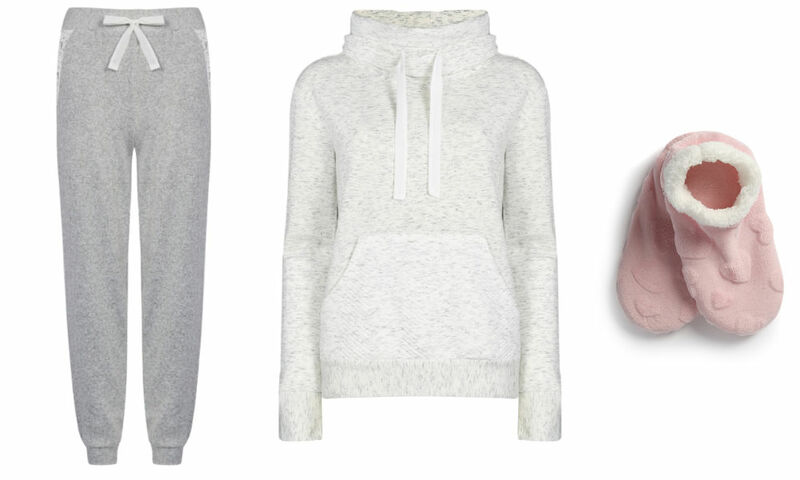 If, for some reason, you're not into them, here are some more options of daytime loungewear that are just as snuggly and cool. Do you love those days over the Christmas hols when you don't leave the house at all?